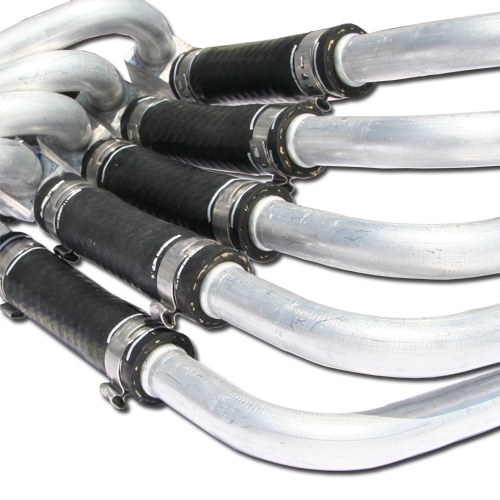 We offer refrigeration hoses for airconditioning, watercooling/heating, oilcooling and airbrakes. Our hoses meet all international norms and can be made to any size and customer specification. Meets J3064 "type C class I" hose performance and Burgaflex R404a transport refrigerant specification. Used with Burgaflex crimp fittings and Burgaclip the hose fitting combination meets SAEJ2064. 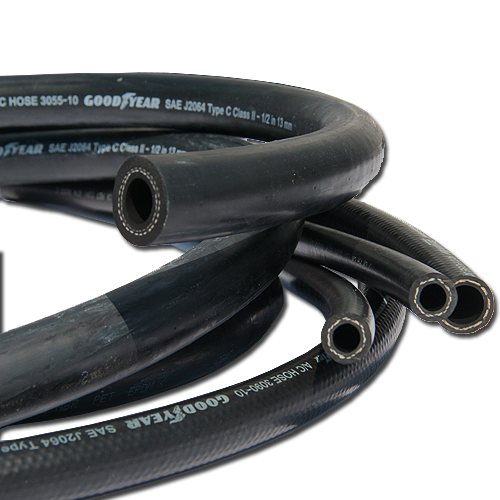 Preformed hoses are made according to customer specific design and specifications as hose marking en part number. Hose can be supplied within the SAEJ20R3 specifications or can meet the DIN73411-2B specification for original equipment manufacturing. 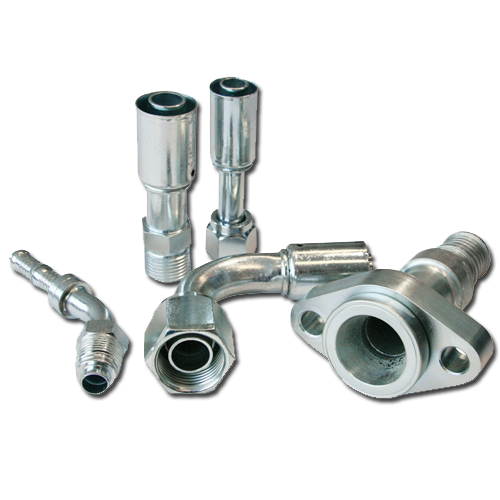 The crimp fittings can be used in combination of the 3055 standard airconditioning hose. For original equipment manufacturing or aftermarket repairs. Fittings are made out of steel or aluminium. A full program of fitting connections in straight, 45 and 90 degrees for the different hose sizes are available. Customer specific designs can be produced according 3D model or drawing. The Burgaclip ® fittings can be used in combination of the 3090 reduced barrier airconditioning hose. For original equipment manufacturing, transport cooling or aftermarket repairs. Fittings are made out of steel or aluminium. A full program of fitting connections in straight, 45 and 90 degrees for the different hose sizes are available. Customer specific designs can be produced according 3D model or drawing. 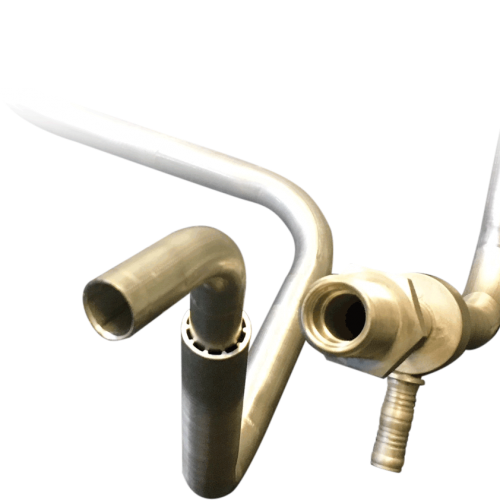 Airconditioning hose assemblies are made according to customer specific design and customers specifications. Straight and preformed hoses with fittings in steel, aluminium or stainless steel to customer specific requirements and for original equipment manufacturing. Both sides can be crimped fittings, Burgaclip or a combination of both. Besides the standard fitting program every design can be taken into account. The Federal law requires registration with the Department of Transportation for anyone producing air brake hose assemblies with swaged or crimped fittings. Burgaflex (BX) has this registration according FMVSS-06. 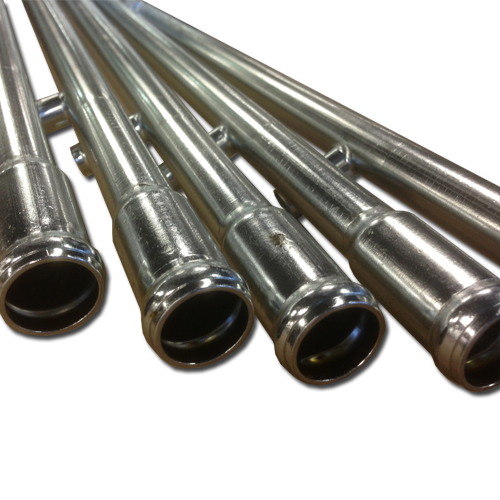 Fittings made out of steel or stainless steel to resist salts and chemicals for original equipment manufacturing.